predominantly daywear for men, boys and children. Manufactured from washable material. Sleeves can be long or short, ending in cuffs of various renderings (simple, false, double, folded). May also have a yoke. Has front-fastening of various lengths. Always has a close-fitting collar - either turndown or stand-up - adapted for the wearing of a necktie or scarf/cravat. Cuffs and collar are stiffened. 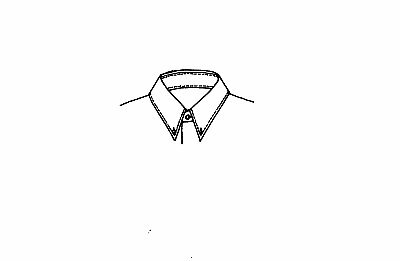 S. are produced in various types: the classic s. fastens to the neck and is worn with a tie; the open-necked shirt is worn most commonly in the summer months;, the formal s. is intended for wear with a formal suit, dinner jacket or evening suit, is white with a shirt front, has decorative hems, and its cuffs are folded and stiffened. Since the 10th century the s. has been an indispensable part of a man's wardrobe, although naturally its form has changed.